In 2016-17 The RwB Coalition and allies have been trying to get response from Chinese banks about environmental and social safeguards used when lending to Yamal LNG Project. We still have no response. This article in China Dialogue by Jenny Johnson contains new details on this growing threat to the Arctic. 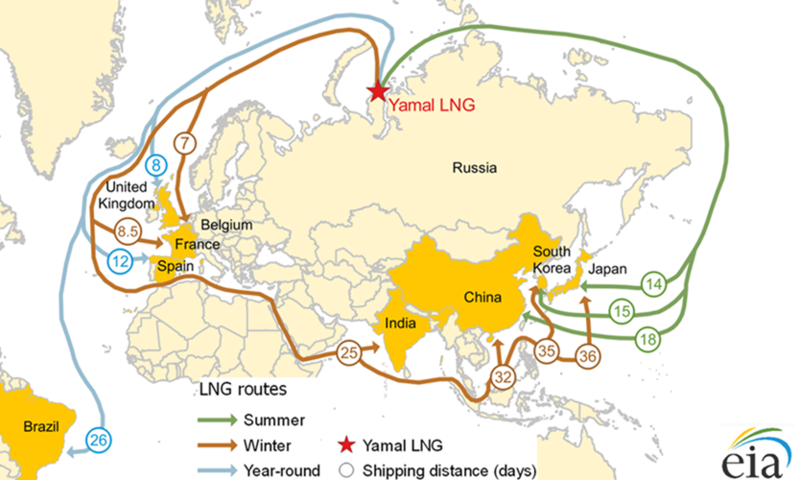 China’s state enterprises have invested heavily in Yamal LNG, a natural gas extraction, liquefaction and export project. Yamal LNG’s output capacity is around 16.5 million tonnes per year, according to Novatek, the project’s majority owner. It was officially opened in December 2017, sending its first cargo of liquefied natural gas (LNG) along the Northern Sea Route to Boston in the United States, after being sold on the spot market. Details of purchase contracts have not been disclosed, but 96% of the LNG produced by the plant has been contracted under 20-25-year agreements, with most of the gas going to China and Japan, according to Novatek. 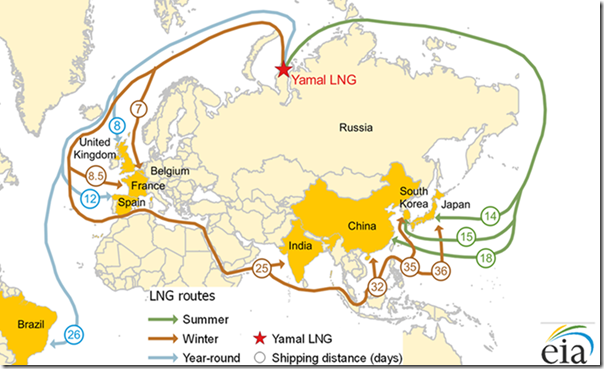 China National Petroleum Corporation and China’s Silk Road Fund own nearly 30% of the Yamal LNG project. This is a practical investment for China, where demand for natural gas is rising as the government looks to reduce air pollution by switching coal and oil heating to natural gas. The International Maritime Organization issued a Polar Code in 2017 that restricts oil, sewage and garbage discharges in Arctic waters. It also set out requirements for the design, construction and equipment used by polar ships. Black carbon emissions from vessels burning heavy fuel oil are also of concern, because the pollutant settles on ice and snow and increases the rate of melting. The special cargo ships built to service the Yamal project burn LNG as a fuel. They don’t emit black carbon and produce less emissions. Perhaps the biggest risk of Arctic shipping is from accidents in the harsh and dangerous environment of moving ice flows and major storms. The capacity to clean up an oil spill in the remote region is extremely limited and would likely have long term impacts, as oil takes much longer to break down in the cold. Arctic countries have signed an agreement to provide search, rescue and clean up assistance in the event of a disaster. Roads, railways and pipelines for oil and gas extraction are being built in an already-greening Arctic, as climate change melts permafrost, creating warmer temperatures and less ice than has ever been recorded. Climate change presents a threat to nomadic people, who depend on frozen ground, snow and ice to move. The melting of permafrost, both on the seafloor and on land, in the Arctic is identified as a global tipping point, because it could lead to the rapid release of massive amounts of methane, a potent greenhouse gas, potentially increasing the global average temperature in a short period. Thawing permafrost also has the potential to release long buried toxins, exposing humans to new pathogens, or uncovering toxic waste and chemical munitions buried during the former Soviet Union, as is suspected to have been the case with the anthrax outbreak. “Future expansion of infrastructure . . . combined with climate-induced changes to local landscapes and permafrost present unprecedented challenges to local communities,” concluded a major four-year study of the consequences to social-ecological systems of infrastructure on Yamal, funded by NASA. “The sheer scale of the proposed hydrocarbon developments in the next few decades could overwhelm the ability of the local communities to adapt to changing conditions,” the 2017 study said. Already, Novatek, the majority owner of Yamal LNG, is discussing the prospect of Arctic LNG 2 with Chinese investors, who signed an initial memorandum of understanding in 2017. The ambitious project envisions construction of a gas plant and storage units on floating platforms in the Gulf of Ob. The initial environmental assessment for Arctic LNG 2 has been approved by the Yamal government and representatives of the Yamal Association of Indigenous Peoples. The type of floating construction envisioned “is cheaper, and there will not be a very big burden on the environment,” said Yamal governor Dmitry Kobylkin, speaking at the St Petersburg International Economic Forum in June 2017. The paradox of the industrialisation of the Arctic to extract hydrocarbons, which have been made accessible due to the disastrous effects of human-caused climate change, will profoundly reshape the region. Estimates vary widely on projecting future shipping volumes, but one recent study by the Ocean Conservancy says cargo flow could approach 100 million tonnes per year by 2030, up from 1.5 million tonnes in 1998. The ice that provides a globally important sanctuary and feeding ground for migratory species continues to recede at a shocking pace. In the Russian Arctic, this will mean exploitation of resources on and off shore to the greatest extent possible, with the accompanying infrastructure to support it, as long as the requisite financing is available. In this way, China will play a pivotal role in advancing the exploitation of the Arctic, particularly in Russia.